Releases on 25/08/2019. 126 Days left to Preorder! Set your business cards upon the Iron Throne. Forged with the swords surrendered to Aegon Targaryen in the War of Conquest, there is no better way to advertise your business cards in the office. Whatever your position may be, boss, manager, assistant, or king-- network with style and regality. At 11 cm tall by 8 cm wide, this throne will fit perfectly on any desk. Even royalty need to exchange phone numbers from time to time. Shop Game of Thrones Merch today, at GAME. 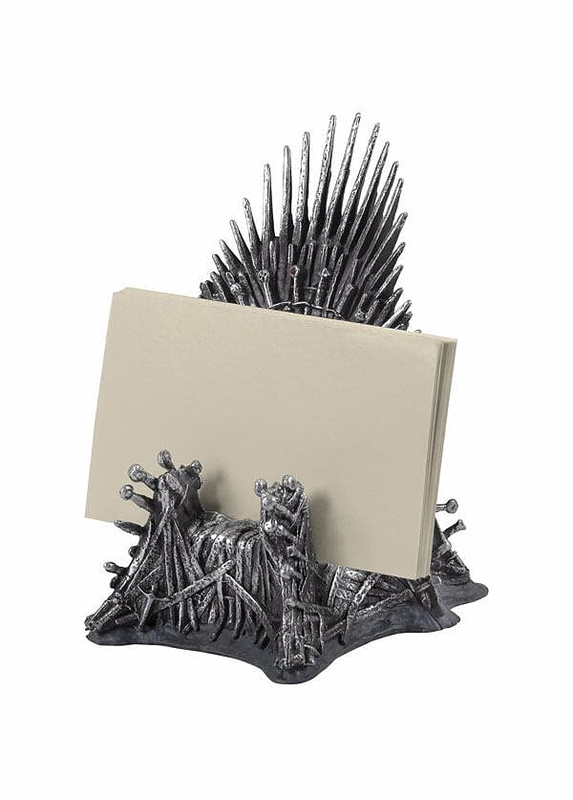 Let your colleagues know who's really in charge at the office with the PVC Iron Throne business card holder. 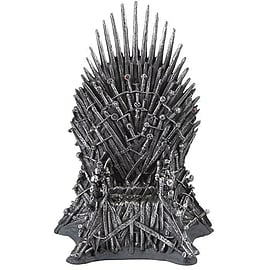 This Game of Thrones: Iron Throne business card holder is sure to be a great gift or purchase for any Game of Thrones fan. Don't miss out and shop Game of Thrones Merchandise today, at GAME.